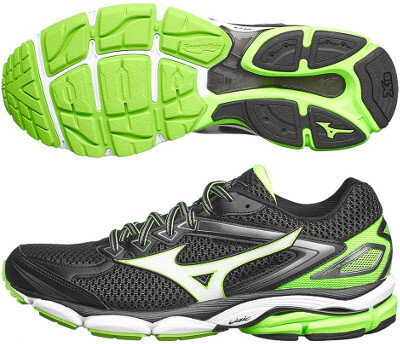 Mizuno Wave Ultima 8 are neutral cushioned running shoes. The Mizuno Wave Ultima 8 tackles the challenge to continue great sales figures from its preceding edition Wave Ultima 7, well known for being plenty of cushioning while still providing a good response at an unbeatable price. Positioned one step below premium Wave Enigma 6, the Ultima 8 is a great choice for neutral runners in daily trainings and distances up to marathon. Although there are not many changes compared to its predecessor Wave Ultima 7, upper gets the typical upgrade after one year to provide a snug fit. Heel counter has been redesigned for improved stability and internal strips Dynamotion Fit remain to wrap the foot featuring a more secure transition. Midsole's construction in Wave Ultima 8 continues with U4icX™ on top to provide softer shock absorption, something highly appreciated by heel strikers and present as well in its counterpart with pronation support Wave Inspire 12. Classical parallel Wave™ plate is located below lightweight U4ic™ foam for great cushioning and enhanced comfort. Forefoot in outsole has been reengineered to increase flexibility and therefore deliver better response while durable X10 rubber is available in more exposed areas.